Last Sunday, Palm Sunday, my congregation had a conversation about violence. Not the violence of the Passion story, but the violence that had terrorized our city for almost a month. The Austin Package Bomber. At the time the conversation was planned, the source of the terror was still unknown. By the time we met, the perpetrator had been identified and was dead. There was a lot of compassion in the room, and a palpable struggle to understand why it all happened. In the time between terror and relief, there had been lots of discussion locally and nationally about how to characterize the crime and the criminal. We’ve had lots of practice and a formula has emerged – white males who commit mass murder are mentally ill lone wolves; men and women of color who commit mass murder are terrorists. This is a distinction that is obviously racist and xenophobic, problematic in just about every way I can think of. The way we distinguish between mass murderers is an ongoing conversation. During Holy Week, I think about the way we characterize all of them, not just distinguish between them. It seems important to label them as Other. Whether they are ill or misguided or not-from-here the key point seems to be that they are not us. On Palm Sunday and again today, Good Friday, we hear the account of Jesus’ betrayal, arrest, torture, and execution. Throughout the story, it is clear that the perpetrators of those acts are not “other.” They are friends, good citizens, religious officials, ordinary folk. They are us. And that is the way I think about the perpetrators of mass murder in our communities today. As troubled or misguided as they may be, as much as I can say I’d never commit such acts – it is clear to me that they are us. They come from our communities. They come from families and congregations and schools. They are either living out or reacting against their perception of our social and political values, not acting outside them altogether. There is no holding them accountable until we hold ourselves accountable, as well. Not just as individuals – not many people commit those acts – but as communities, cities, nations. As we struggle to understand what happened, our hope to prevent the next awful act is also not Other. It is within our power and within our ability to organize our common life in a way that is less adversarial, more collaborative. Less individualistic, more mutual. Less us-versus-them, more all of us together. I’d love to know what hope you see for creating safer communities in a way that honors the fact that we ARE communities. All of us together. A couple of weeks ago, I traveled to Port Aransas with family for a few days. 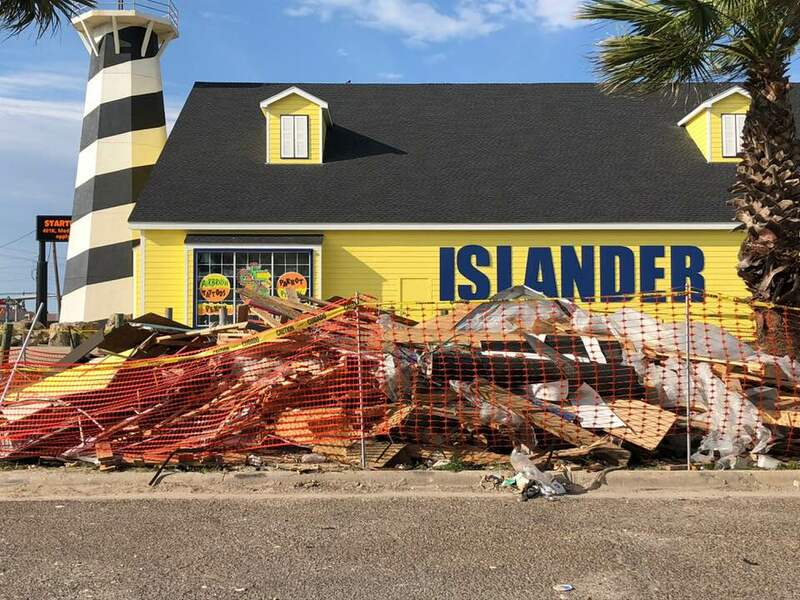 It was the first time any of us had been there since Hurricane Harvey had passed over this small beach town. On every road we saw restoration and destruction side-by-side. The hurricane was in the far recesses of my memory, but there it was still immediate. 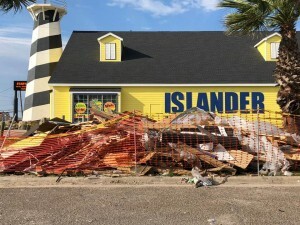 Outside each rebuilt business, a pile of debris. Next to each repainted home, another still missing a roof. One thing was unchanged about Port Aransas: the palm trees. I learned long ago, that these plants thrive along the coast in part because of they way they survive storms. When the winds whip, most rigid structures shatter. Palms bend. Today is Palm Sunday. I’ve written about this day before, and about the palm as an emblem of it’s meaning for Christians. (You can read it here.) Seeing those survivor palm trees presented me with a new twist. What does it mean that the sign of hospitality laid down for Jesus is from a plant that withstands such force, that springs back from destruction? This time of year, there are symbols of resurrection all around. When Christians observe the resurrection of the Christ, we use springtime images to help us grasp it’s meaning – eggs, butterflies, lilies. Seeds that die in the earth and rise through the soil. Among these symbols rises the palm. I’ve now seen it standing as a witness to the resurrection of a community. For those of us who have experienced or are still going through personal storms, it is encouraging to imagine the possibility of surviving. It has been done before. The one greeted with palms and who faced destruction, stands again with us and for us.